Maryland state lottery doesn’t miss any opportunity of spreading the good news and this week it had plenty of information to disclose to the media. One important piece of the puzzle is still missing, because while lottery representatives know that a Mega Millions jackpot ticket was sold within state borders, they have no clue whom the winner might be. 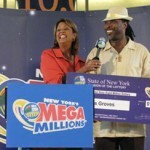 The one who will step forward to claim the prize will be $189 million richer, at least this is the sum before taxes. 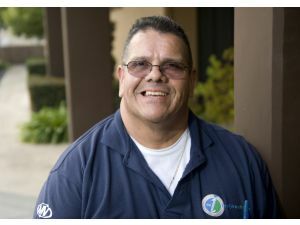 The big winner of this week is definitely the one who purchased the lottery ticket and won the $189 million Mega Millions jackpot, but he is not the only one who has reason to celebrate. For the time being, Sukhwinder Singh is certain to receive a bonus for selling the winning ticket and the net amount is an impressive $100,000. 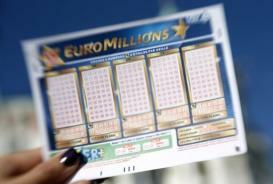 When the lottery representatives got in touch with him and said that someone bought the winning ticket in his store, he was obviously surprised and initially refused to believe. It is somewhat easy to understand why he was not quick to embrace these news at 6 AM, but once reality sank in, Sukhwinder Singh exulted. 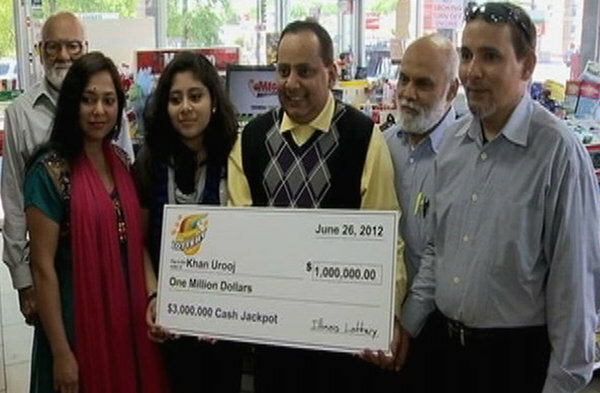 Maryland lottery will present with the bonus that he deserves, but the media hopes to learn more from him about the person who bought the ticket. 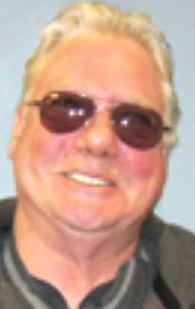 When interviewed by reporters, he said that he has no idea who purchased the winning ticket, but has a strong feeling that it is one of his regular customers. Whoever he might be, the lucky player picked the numbers 7, 10, 30, 37, 53 and 1 for the bonus ball matching every single one of them. 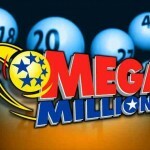 As lottery prizes go, the Mega Millions jackpot has a fairly short period of time during which it can be claimed, more precisely 6 months since the winning numbers were extracted. So far the winner didn’t cash in his prize, but this is not unusual as most players who win the jackpot decide to keep a low profile in the aftermath of the drawing. 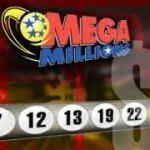 They need to take the time to decide what to do next and Maryland lottery officials frequently recommend players to seek financial counseling. 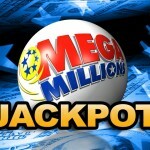 This is a standard case of win-win situation, because all the parties involved gain something as a result of a Maryland player winning the Mega Millions jackpot. 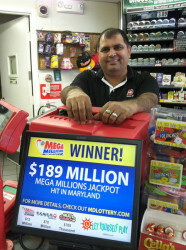 Singh received a generous 6 digit sum as a bonus from the state, the winner will eventually enter the select club of millionaires, while the state of Maryland receives a significant amount as a result of taxing the jackpot. If the winner chooses the lump payment over the annuity, he forfeits an additional amount, but then again there is plenty of money to go around. 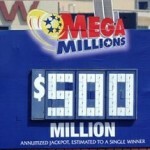 Check out the Winner claims $80 million Mega Millions jackpot after one month as well.